The aviation industry in Latin America and the Caribbean has huge promise to grow over the coming years, but it must address a series of challenges if it is to fulfil its enormous potential. 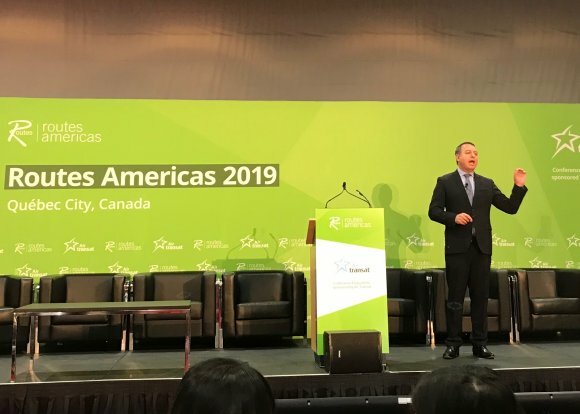 That was the message of ALTA’s executive director and chief executive Luis Felipe de Oliveira, who was speaking at Routes Americas 2019 in Quebec City. He said that the market has doubled in size over the past 20 years, with the rise of low-cost carriers a major factor. Last year also marked the 15th consecutive year of traffic growth. de Oliveira added that economic growth in Latin America will be above the global average in the next 20 years. “The projected GDP growth is 3 percent between 2019 and 2038,” he said, placing the region behind only Asia-Pacific and the Middle East. He also stressed that the emerging middle class in Latin America would be a driving factor. 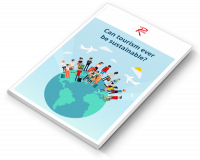 In 2018, de Oliveira said that 65 new routes started in Latin America last year, 22 of which were domestic and 42 international. He pointed to LATAM Airlines’ recent GRU-TLV route as a huge win for the region. de Oliveira also stressed that Open Skies agreements signed in recent years were contributing massively to the growth of the region. Mexico - US traffic has increased 7 percent annually since 2016, he said, while Brazil - US traffic grew by 13.8 percent in 2018 compared with the previous 12 months. However, de Oliveira warned that significant challenges remain. They are infrastructure; charges, fees and taxes; and customs and regulations. “To reach our potential, a further $40bn is required to close the demand-capacity gap,” said de Oliveira.